Last week, Samoa Joe showed respect to Nakamura, then attacked him from behind. Samoa Joe has a copy of Nakamura’s medical report. He reads the multiple injuries that Nakamura suffered on last week’s show, saying that he won’t need surgery but will need to rest for six to twelve weeks. Joe calls Regal to the ring because he won’t wait that long for a rematch. William Regal comes out to the stage. Regal tells Joe that he will take care of the problem that Joe caused. Joe walks up to Regal and threatens to injure the entire NXT roster. Dasha Fuentes asks Cedric Alexander what’s going through his mind. Cedric is thinking about the seven years of people telling him that he wouldn’t make it. Charly Caruso asks Liv Morgan about challenging Asuka. Morgan says she won’t bow down to anyone. As she speaks, Asuka walks up and tells Morgan they should find out if she’s ready. Pretty good match. Lorcan didn’t give Aries a lot of difficulty, but he hung in there for a while. This was pretty fun, though I don’t really understand the apparently strong appeal of Lorcan. Austin Aries gets on the mic and says that he was at home last week. Also, he would call out Hideo Itami, but he knows he won’t show up. Itami is a coward. On cue, Itami’s music plays and he heads to the ring. As Itami enters the ring, Aries exits and walks away. Dan Matha is coming in two weeks. And he’s big. Last week, after the Cruisereight Classic finale, Gargano and Ciampa fought The Revival in the parking lot. An okay match. I thought Aliyah looked better. She was more aggressive. Dasha Fuentes asks Mandy Rose why she’s been calling out Ember Moon on social media. Mandy says Ember doesn’t have what it takes. Very good match. There were a number of good sequences and moments in this one. Almas seemed to underestimate Alexander, having fun with the match at first before it became more serious. A very nice debut for Alexander. This was a good show. Nothing amazing happened, but the matches were good. 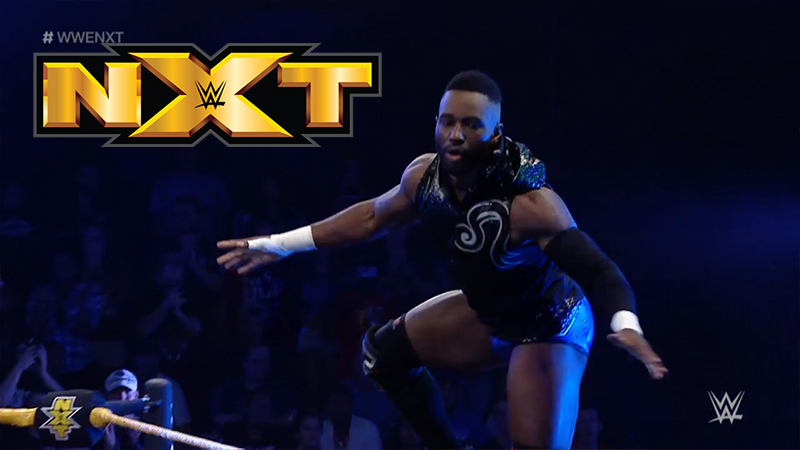 Storylines seemed to take a backseat, but that allowed Cedric Alexander’s debut to take center stage which was nice. This was the most competitive and easily the most fun match of the night.